Fashion is still pumping up the volume for spring with babydoll, swing, trapeze, and A-line shapes. 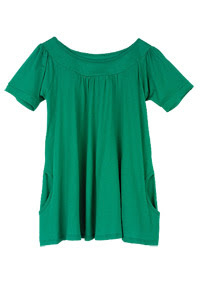 These show up most prominently in dresses, but if you feel like changing it up a bit, I suggest smock tops. 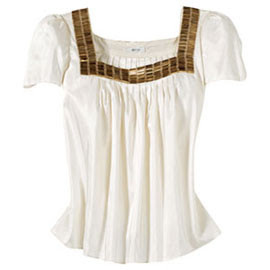 (Note: not smocked tops, like those Juicy Couture tube dresses that were everywhere four or five years ago.) 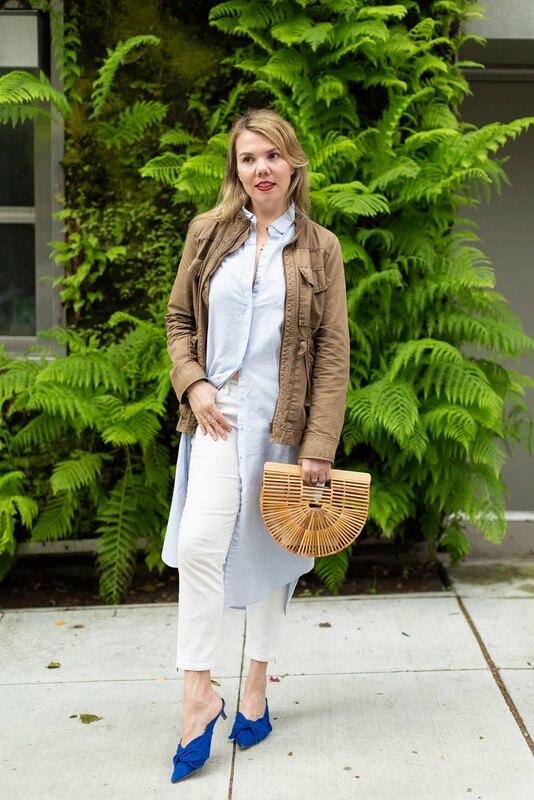 Smock tops still have that relaxed full shape that's everywhere this season, but you have more versatility in what you can wear them with--anything from miniskirts to skinny jeans to shorts. Because as much as you love wearing dresses, at some point you're going to need a break. 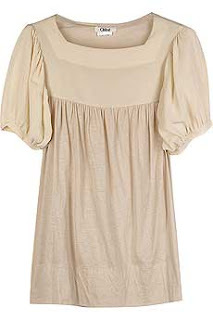 For most women I know, fear of looking like a blimp is the #1 reason to not wear full shapes such as smock tops. And that is not an irrational fear. But as with anything designed from Donna Karan, you can rest assured that this silk tunic is going to be impeccably cut and completely flattering (and for $1,500, it should be). When it comes to that effortlessly chic bohemian look, no one beats Chloe. So it makes sense that their silk panel top is one of my favorites in this category. For a more glam take on the trend, Adam + Eve's square-neck blouse has metallic trim, perfect for nighttime or just a more swanky look. 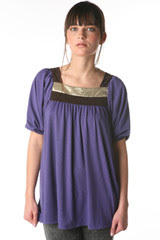 To combat shapelessness, this airy belted tunic from Sunner has a tie at the waist and a well-cut neckline. 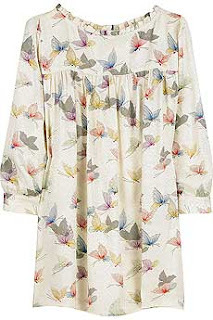 As loyal Cheryl Shops readers know, I loooove butterflies. And although I do like the fact that this top has a print at all, I can't resist the allure of this butterfly-print top from Paul & Joe. 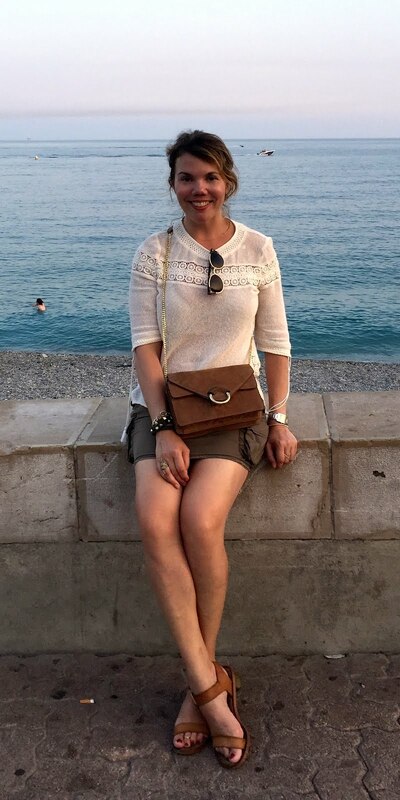 Graham & Spencer is one of my new favorite labels (I have an awesome wool jersey dress from them that I got at Barneys), and I like that this silk top is sheer--because you'll be able to see the body underneath, you won't look as shapeless in it. 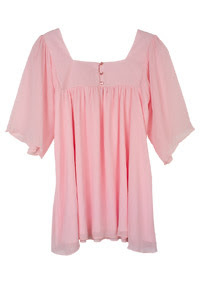 For a budget version, this chiffon top is, well, very pink, but the shape is right on the mark. For more color options, this babydoll top is a good choice, although the neckline is more of a scoop than a square (a minor detail, however). This colorblocked metallic tunic from Urban Outfitters is a must-buy for me, though, because it has that rock-and-roll, Biba-inspired look that's going to be superhot for fall. And the only thing better than getting a trend for cheap is getting more than a season's worth of wear out of it. are very interesting. pandora beads have amazing aspect. Manufacturers of pandora necklaces and pandora bead began to export particular items. Plenty of people gathering pandora bracelet beads and some also gathers pandora charm bracelets. The charm bracelet pandora also have pandora earrings and gorgeous pandora rings. Love life love pandora bracelet. cheap pandora beads give you more help. People love pandora charm best.